Haba wooden food toys really do look good enough to eat. 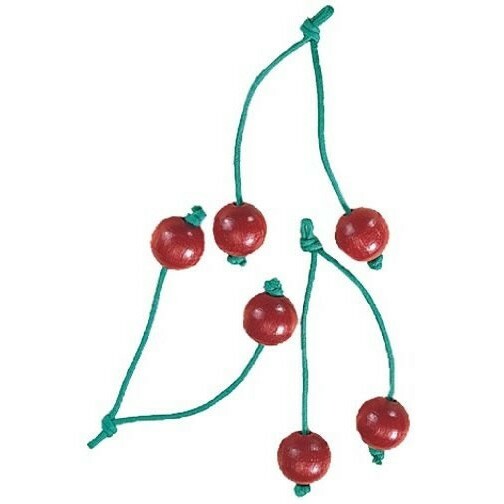 2 juicy red cherries on a string stork. Children love to play pretend games and these wooden food toys are great for firing up their imaginations. Haba wooden toys are made in Germany to the highest standard. These really are toys that will last a lifetime and more, sure to be passed on to the next generation. Natural beechwood painted with non toxic waterbased paints which produce a bright deep shine. Innovative and educational toys that chidlren of all ages will love.